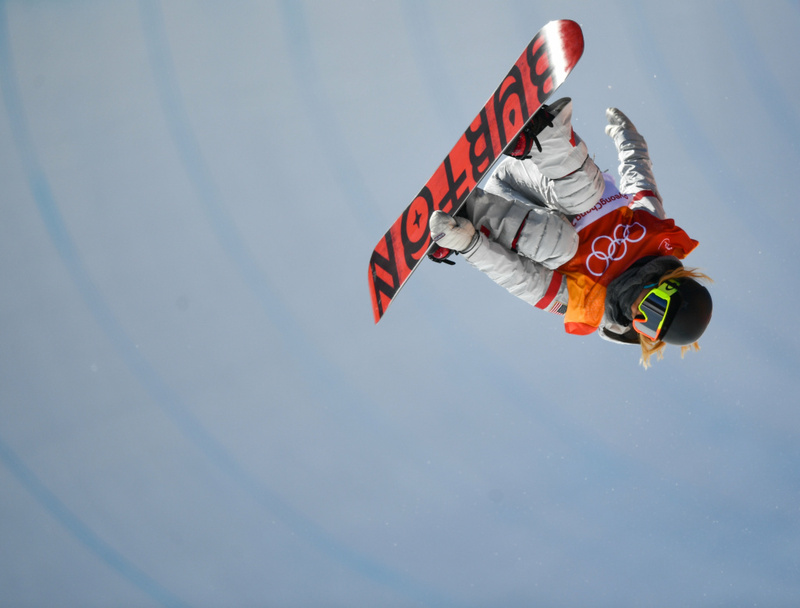 U.S. snowboarder Chloe Kim, 17, soars to a gold medal in the halfpipe. 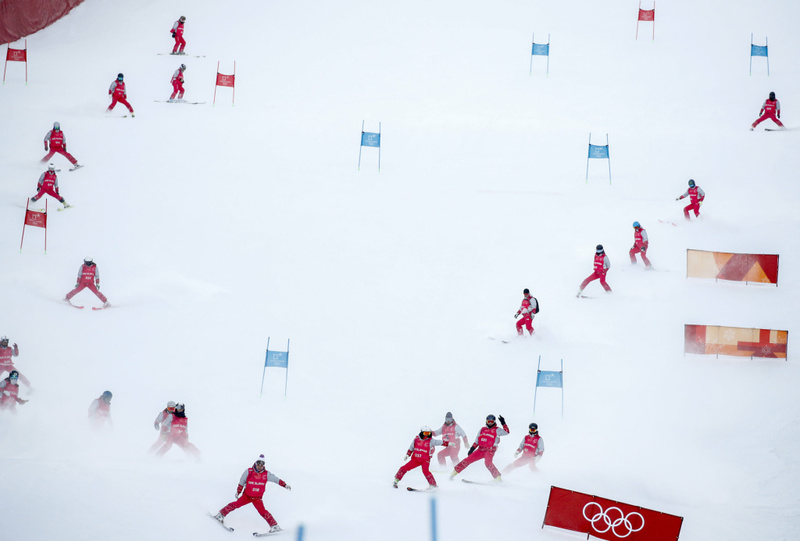 By the time the first week wrapped up at the Pyeongchang Winter Olympics, the powerful, icy winds that earlier disrupted or delayed competition had largely calmed. 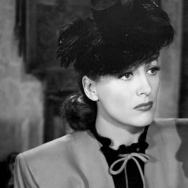 Norway's team led in medals, with 19, and Germany won more gold — nine medals — in the first week than any other country. 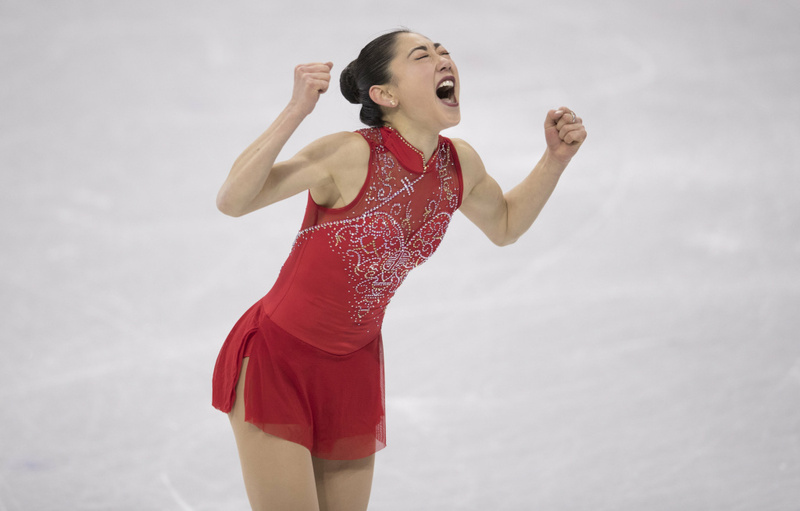 Mirai Nagasu of the United States exults after landing a triple axel during the team figure skating event at the 2018 Pyeongchang Winter Olympics. The U.S., meanwhile, earned eight medals by Friday, including five gold. 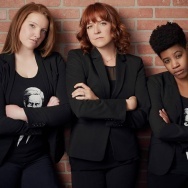 Snowboarder Redmond "Red" Gerard, a 17-year-old who overslept on the day of his event and had to borrow a too-big jacket after he couldn't find his own, clinched Team USA's first gold medal last Sunday. Team USA's Mikaela Shiffrin kisses her gold medal on the podium during the medal ceremony for the women's alpine skiing giant slalom at the 2018 Pyeongchang Winter Olympics. North Korean figure skaters made their Olympic debut; a Tongan cross-country skier crossed the finish line after only three months of experience on snow. 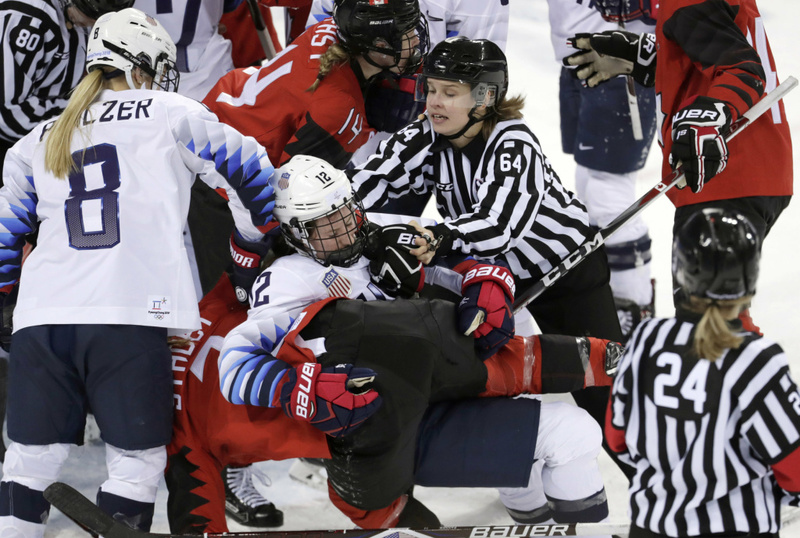 U.S. and Canadian women's hockey teams scuffled. 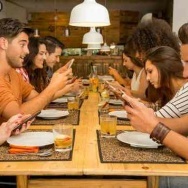 Every day, there was curling. 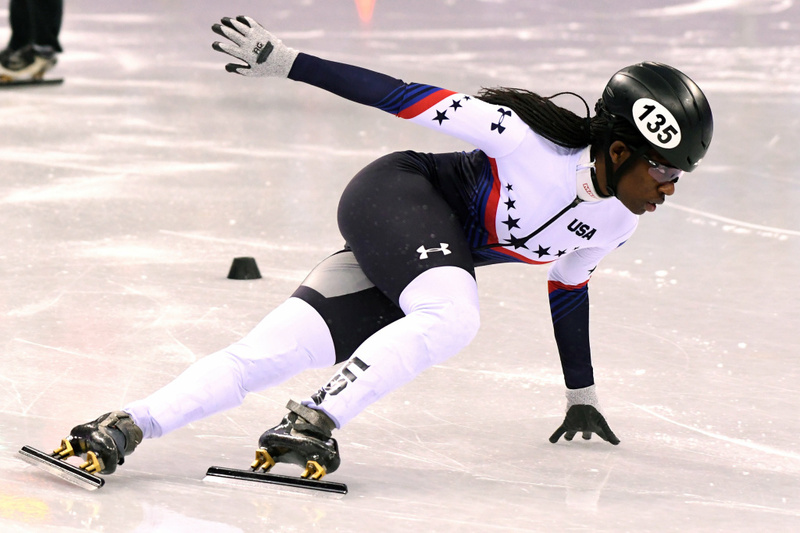 U.S. speedskater Maame Biney, 18, competes in the 500-meter quarterfinal at the 2018 Pyeongchang Winter Olympics. Here is a look at some of the athletes, competition and other highlights of the past week in Pyeongchang. Gold medallist Chloe Kim of the U.S. celebrates during the victory ceremony after the women's snowboard halfpipe final event during the Pyeongchang 2018 Winter Olympic Games on February 13, 2018. 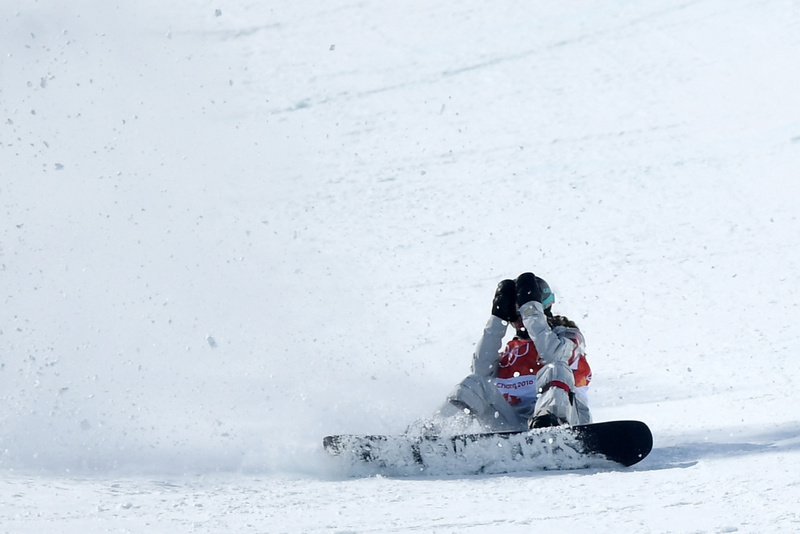 Maddie Mastro of the United States wipes out in the Snowboard Ladies' Halfpipe Final at the PyeongChang 2018 Winter Olympic Games on February 13, 2018. 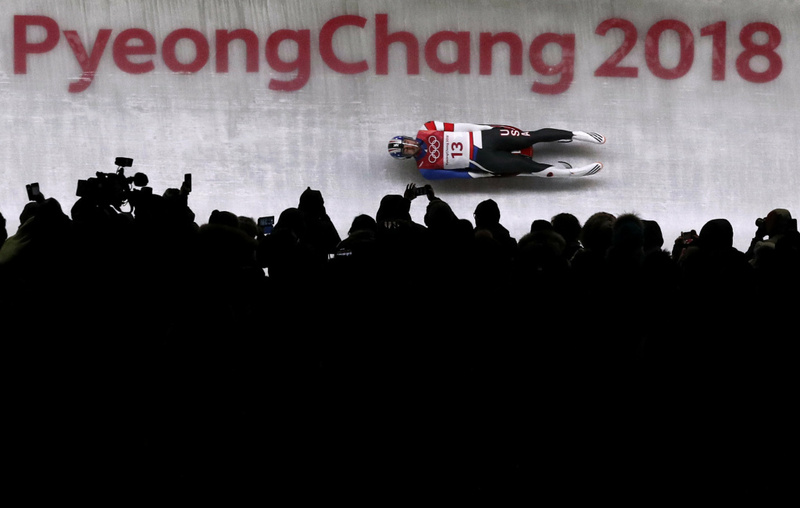 The crowd watches the men's luge competition at the 2018 Pyeongchang Winter Olympics. 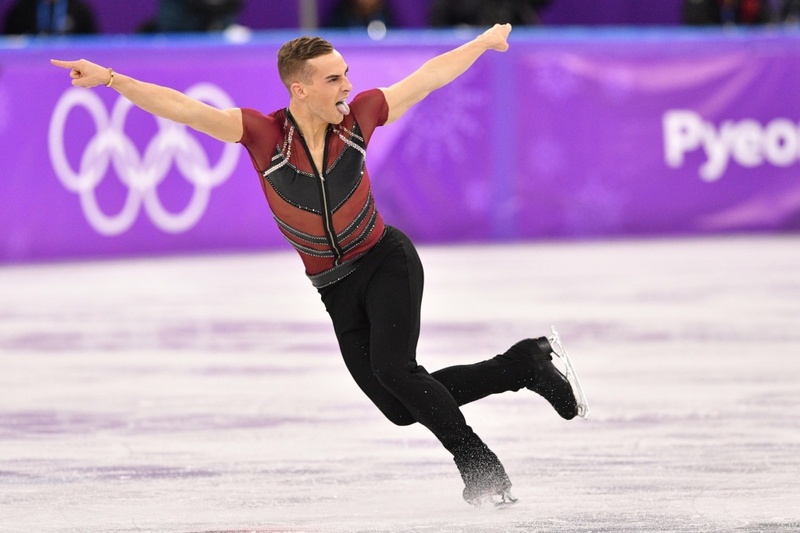 Team USA's Adam Rippon competes in the men's short program at the 2018 Pyeongchang Winter Olympics. 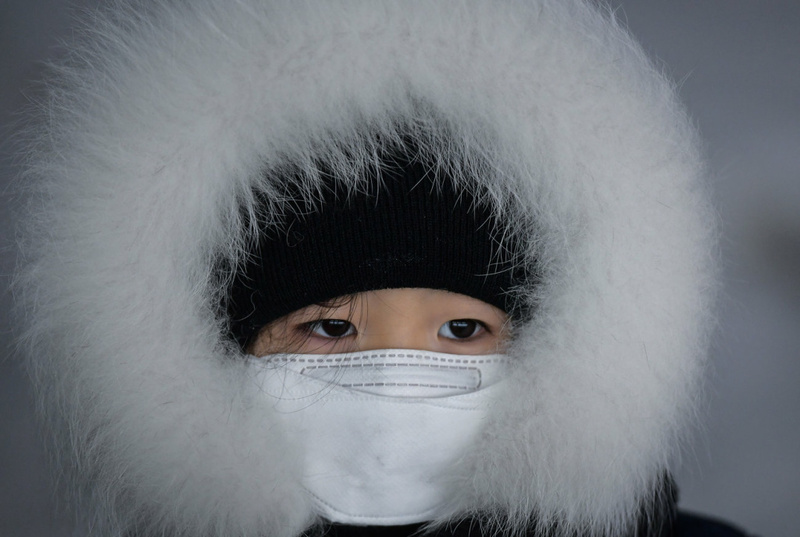 A child watches the men's luge singles Run 1 at the 2018 Pyeongchang Winter Olympics. North Korea's Kim Ju Sik lifts Ryom Tae Ok during the pairs free skate final at Gangneung Ice Arena. The pair scored a personal best of 193.63 and finished 13th in their Olympic debut at the 2018 Pyeongchang Winter Olympics. 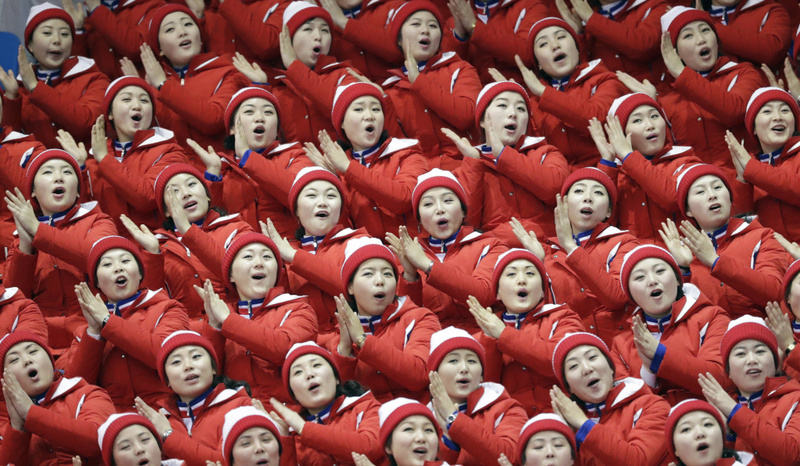 North Korean supporters sing ahead of the pairs free skate final in the Gangneung Ice Arena at the 2018 Pyeongchang Winter Olympics. 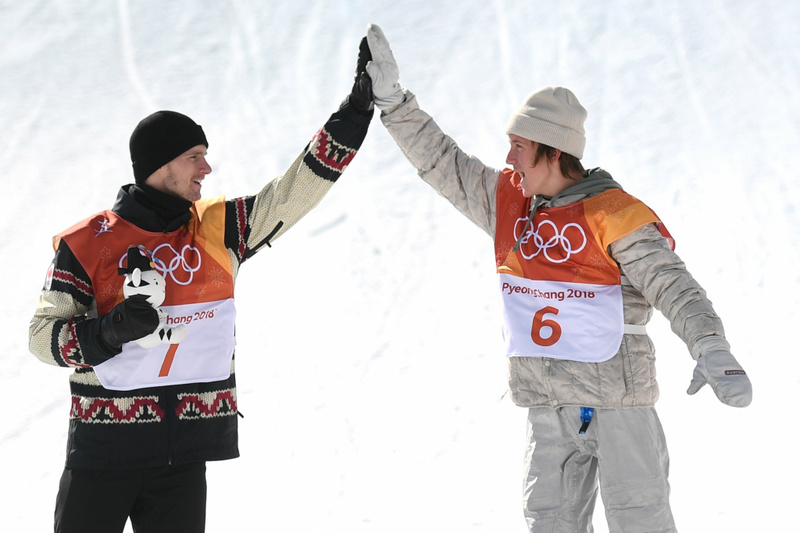 Seventeen-year-old Red Gerard (right), the first Team USA gold medalist of the Pyeongchang Games, gives Canadian silver medalist Max Parrot a high-five during the victory ceremony for men's snowboard slopestyle at the 2018 Pyeongchang Winter Olympics. 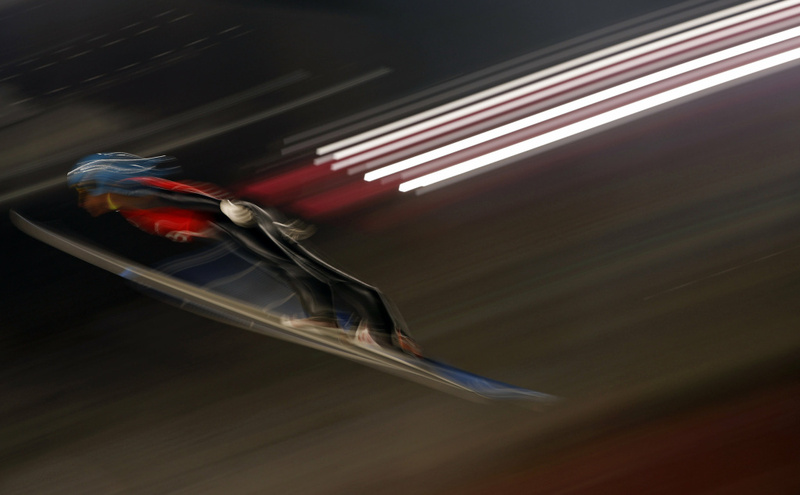 Russian Denis Kornilov trains for the men's large hill individual ski jumping at the 2018 Pyeongchang Winter Olympics. 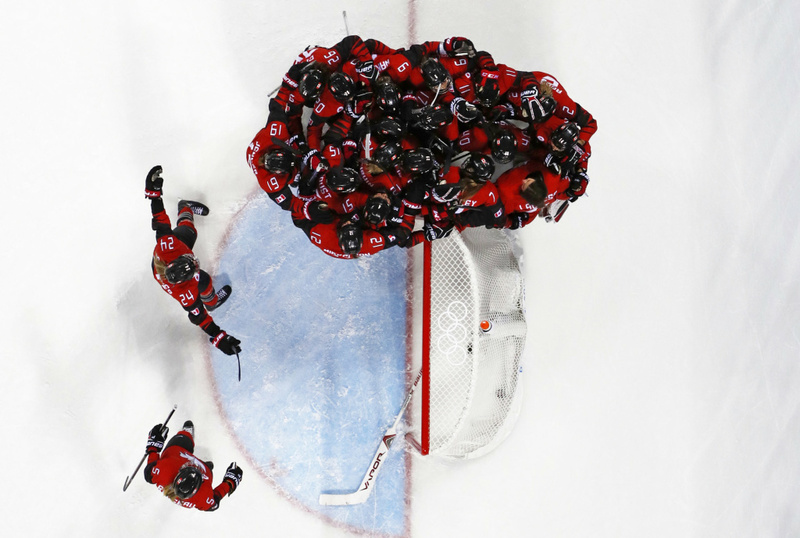 Team Canada's goalkeeper Genevieve Lacasse is mobbed by her teammates after defeating Team USA in women's hockey at the 2018 Pyeongchang Winter Olympics. 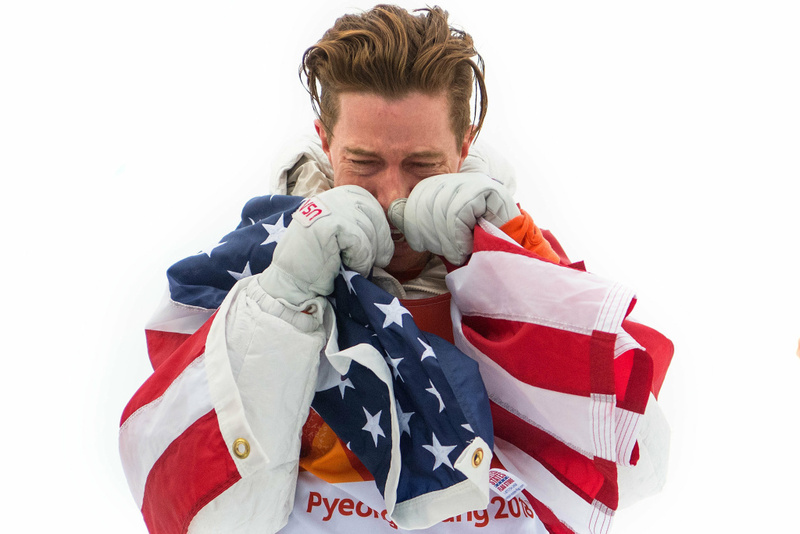 U.S. snowboarder Shaun White wraps himself in the U.S. flag after winning gold in the men's halfpipe. He was later criticized for dragging a flag on the ground at the 2018 Pyeongchang Winter Olympics. Pita Taufatofua of Tonga — who grabbed attention by marching shirtless as his country's flag-bearer in the Olympics opening ceremony — came in 114th in the men's cross-country skiing 15-kilometer race. 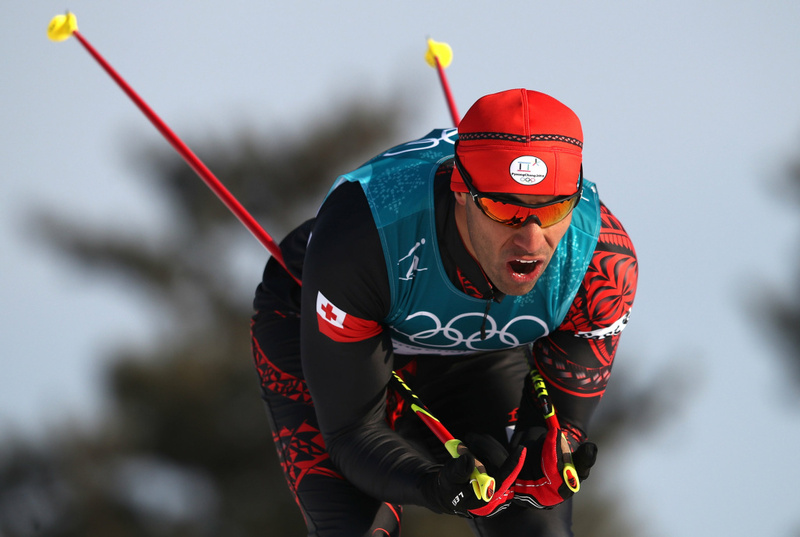 Taufatofua, who had been skiing on snow for only three months, finished ahead of two other skiers at the 2018 Pyeongchang Winter Olympics. 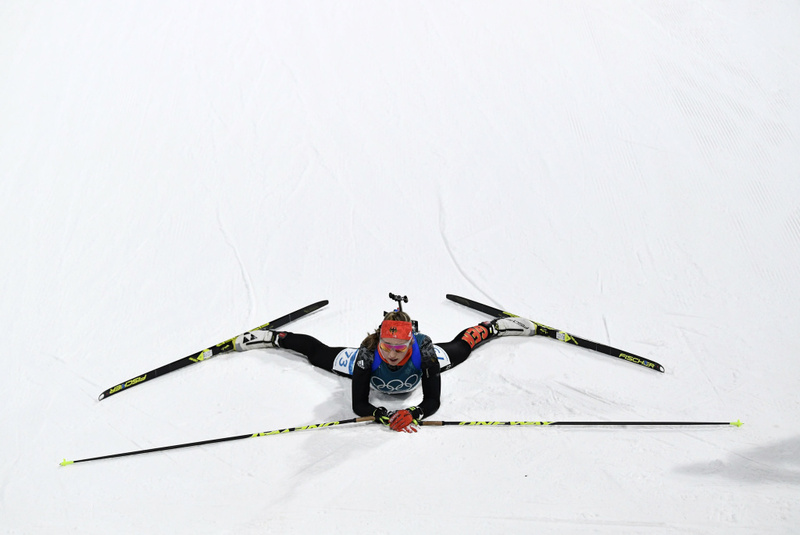 Franziska Preuss of Germany competes in the women's 15-kilometer individual biathlon at the 2018 Pyeongchang Winter Olympics. 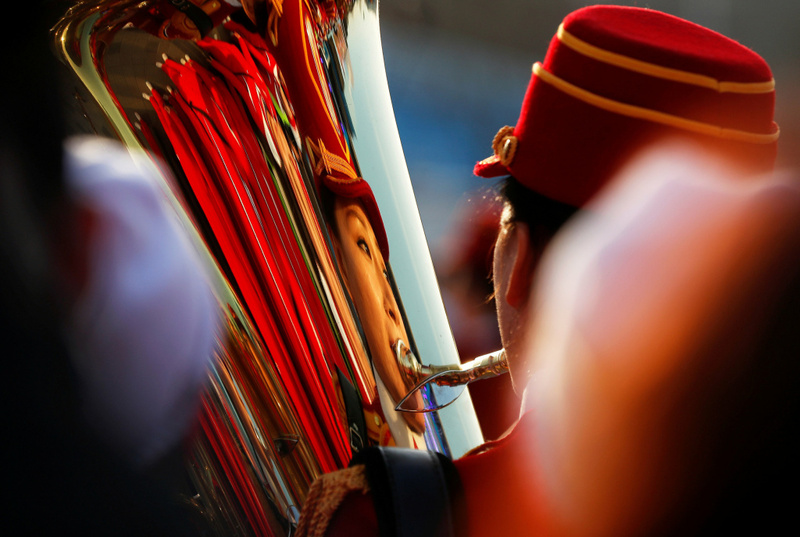 North Korean cheerleaders and members of an orchestra perform at the Gangneung Olympic Park at the 2018 Pyeongchang Winter Olympics. 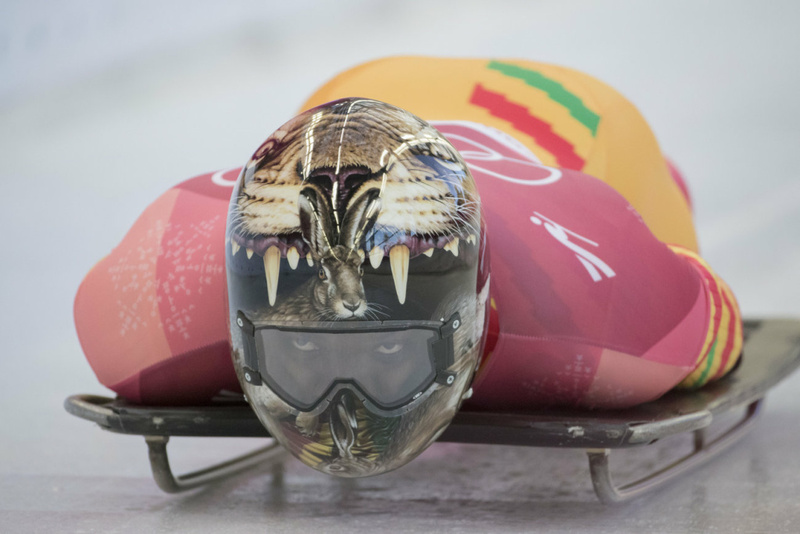 Akwasi Frimpong, Ghana's first skeleton athlete, prepares for the start of his run in the men's event at the 2018 Pyeongchang Winter Olympics. Official Jenni Heikkinen (No. 64) of Finland tries to separate women's hockey players Kelly Pannek (No. 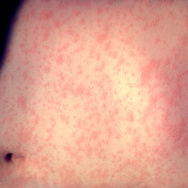 12) of the United States and Laura Stacey (No. 7) of Canada as they scuffle at the 2018 Pyeongchang Winter Olympics. 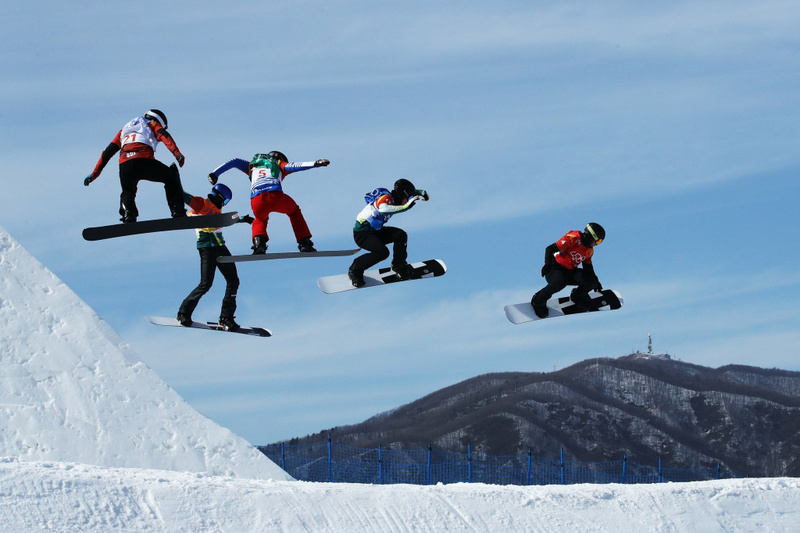 Men compete during the snowboard cross quarterfinals at the 2018 Pyeongchang Winter Olympics. 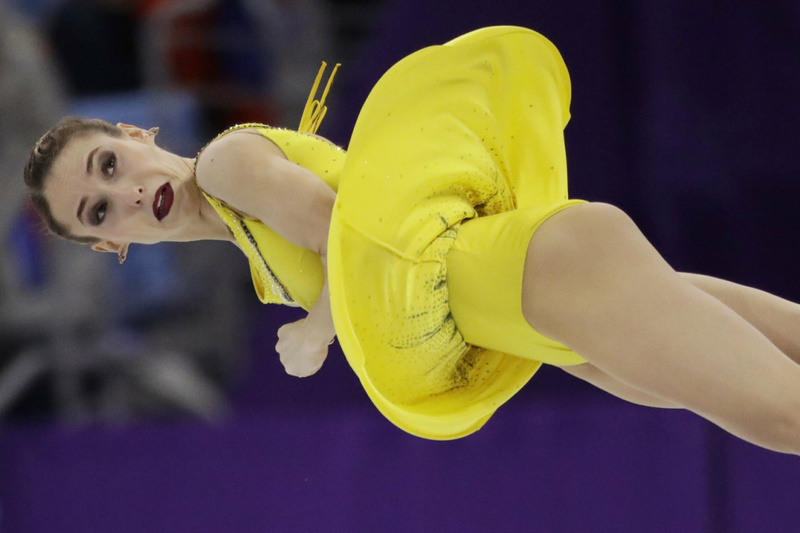 Russian skater Kristina Astakhova is airborne as she performs with partner Alexei Rogonov in the pairs free skate final at the 2018 Pyeongchang Winter Olympics. Slippers prepare the ski course before the first run of the women's giant slalom at the 2018 at the Pyeongchang Winter Olympics. 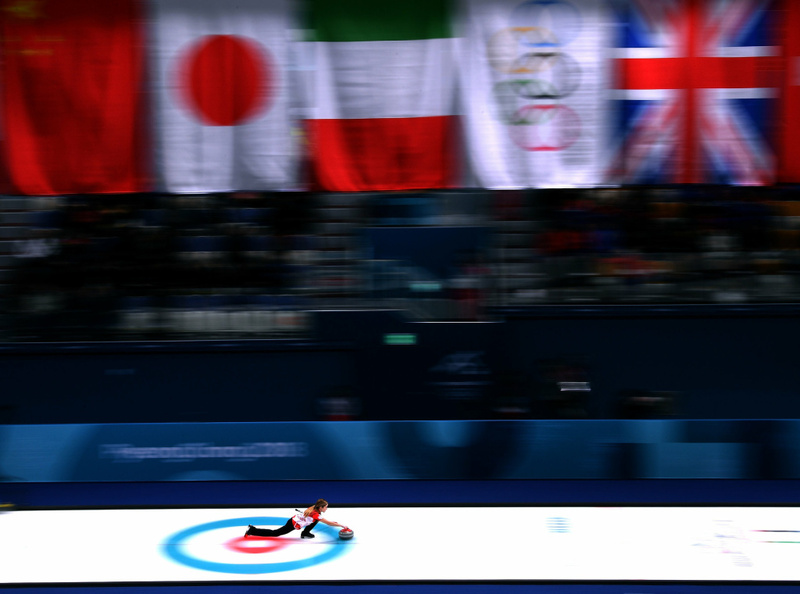 Kaitlyn Lawes of Canada throws her rock on the way to a win against Norway in the curling mixed doubles semifinals at the 2018 Pyeongchang Winter Olympics.